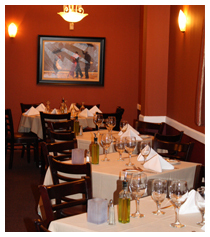 Come in, sit down, and enjoy the finest homemade Italian cuisine we have to offer. We prepare our food using the freshest ingredients and we do not spare anything on the details. With old world recipes, we make sure your visit is a one of a kind experience. Try our finest selection of chicken, veal, steak, and seafood cooked in your favorite sauces, garnished with love from our chef. 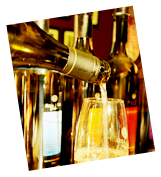 Make your night extra special with a glass of wine from exquisite vineyards from all over the world. Unisciti a noi e benvenuti a casa! Never intimidating and always comfortable; Sambuca Italian Grill & Bar delivers an experience that is perfect to celebrate your big day or every day. Copyright © 2011 Sambuca Italian Grille & Bar. All Rigths Reserved. Site developed and maintained by 119 Productions Inc.